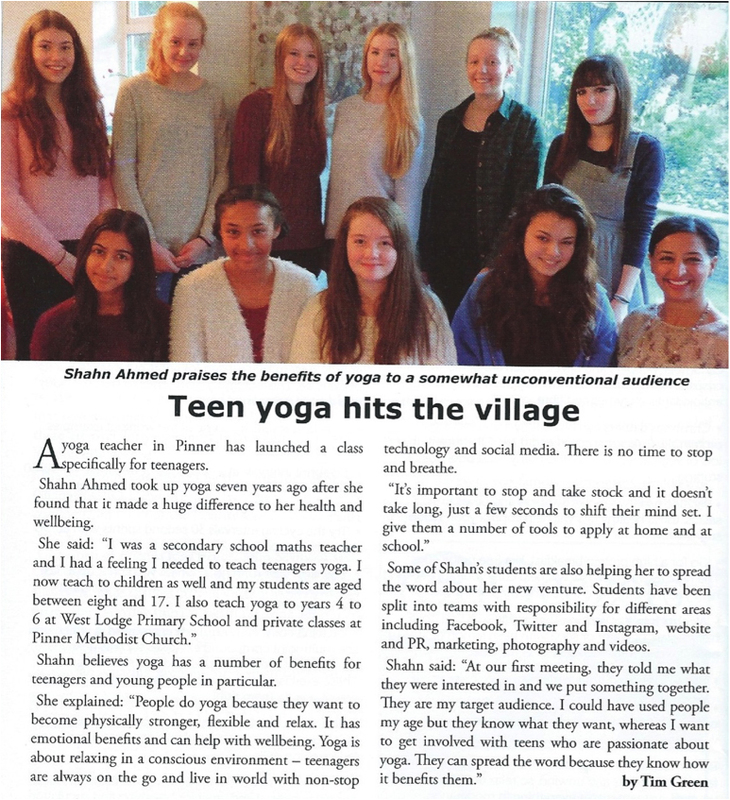 Shahn Ahmad, a Pinner Yoga Teacher and Maths Teacher, is running a Teen Empowerment and Relaxation workshop, offering solutions to support teen wellbeing. The workshop will be held during half-term, on Monday 16th February, 2pm to 6pm, at Pinner Parish Church. In the workshop, Shahn and her colleague, Maria Mara, a Psychologist and Teen Confidence Coach will teach teens the tools and techniques to build confidence, set goals, think positively and creatively and learn how to relax and unwind. Shahn says, “The workshop will be interactive, practical and fun and teens should come along with their friends and be prepared to enjoy themselves whilst learning key life skills”. With teen mental health issues on the increase, Shahn feels it is important to find ways to support teens and their families. The mental health charity Young Minds calls the situation a “ticking time bomb” and last week a survey by Action for Children reported that 40% of parents’ primary concern was their children’s emotional wellbeing. To book the workshop, please contact Shahn Ahmad here.